O.B. ProComfort Tampons are made of compressed layers of highly absorbent fibres which are interwoven to hold together and remain intact. Safe and convenient, O.B. ProComfort Tampons expand in width to give you a gap-free snug fit. With the right protection for you, OB Tampons can help prevent staining accidents and menstrual odour. Body structure and menstrual flow differ from woman to woman. 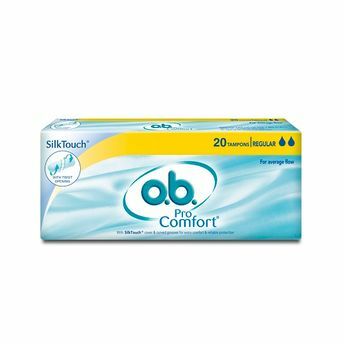 O.B.Pro Comfort Regular is great for first-time non-applicator tampon users, or for women with light to moderate flow. Explore the entire range of Tampons available on Nykaa. Shop more O.B. products here.You can browse through the complete world of O.B. Tampons .